If you’re looking to up the nutrients in your morning cup of java, the latest coffee craze might be for you. Trade in your matcha latte and bulletproof coffee for the new drink on the scene — reishi mushroom coffee. A popular trend in the health and wellness space, the up-and-coming reishi mushroom coffee is creating a lot of buzz. In fact, Whole Foods picked mushrooms as one of 2018’s trendiest foods. So it seems only right that we get to the bottom of why this new coffee varietal has become such a hot topic. Many experts have touted its heaping health benefits — from stopping the growth of cancer cells to helping to avoid the caffeine jitters. But there’s a lot more than just hype for this trendy medicinal drink! What Is Reishi Mushroom Coffee? Essentially, the recipe is coffee plus reishi mushroom powder, which is made from dried mushrooms that have been boiled and liquefied into an extract and made into a powder for the convenience of the coffee drinker. It’s often sold together as a powdered mix that’s 50 percent coffee and 50 percent mushroom. 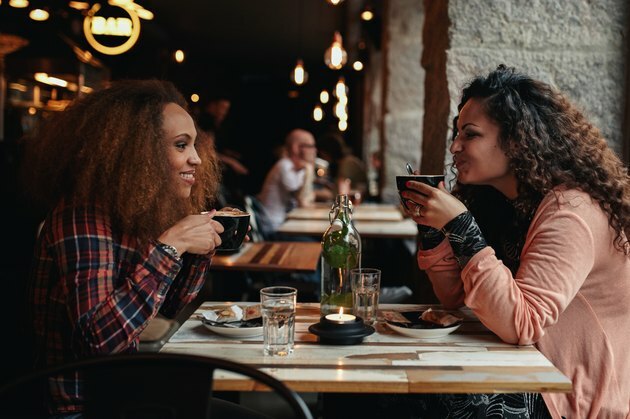 You can buy it from companies like Amazon and Four Sigmatic — but make sure you check the label for the caffeine content, as some brands contain more than others and you might not want to consume too much caffeine in one sitting. A regular cup of coffee has roughly 100 milligrams of caffeine in an eight-ounce cup, so opt for prepackaged mushroom coffee that’s around 50 milligrams per serving. And it's best not to consume more than 400 milligrams of caffeine per day. Although reishi mushrooms are the most popular and well-known ones used for mushroom coffee (internet research company Hitwise cites their steady growth in popularity over the past three years), there are a handful of others mushrooms that might be used in a powdered mix, such as cordyceps, lion’s mane, chaga, turkey tail, enokitake and tremella. The fantastic thing about medicinal mushrooms is they all host many healing properties, vitamins and minerals, so there's no pressure when choosing a certain type of mushroom coffee. No matter which one you choose, you will be reaping tons of health benefits! What seems to be the coffee world’s new trend isn’t new at all. 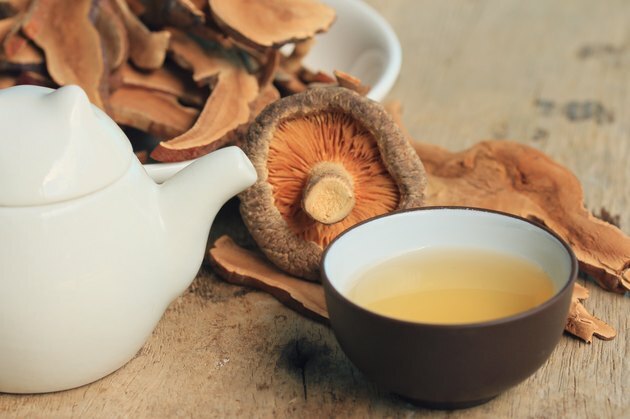 Mushroom coffee has been used for thousands of years in traditional Chinese medicine for its potential anti-aging, stress-reducing and memory- and energy-boosting properties. The Chinese called it lingzhi and used it in powders and teas. Mushroom coffee was also used as an alternative in World War II, when some of today’s staples were hard to come by. It started in Finland in the 1940s when coffee was, along with sugar, one of the first goods to be in short supply. The Finnish people began to use chaga mushroom, which is native to their country, as a coffee substitute. Tim Ferriss, entrepreneur and author of “The 4-Hour Workweek,” is an avid mushroom coffee drinker and partner at Four Sigmatic Mushroom Coffee. He credits his mental stamina, focus and consistent energy on the positive effects of mushroom coffee. “I try and force this on all of my houseguests,” he says. Another positive aspect is that mushroom coffee is less acidic than regular coffee. The pH of our bodies (which diet can affect) plays an important role in maintaining good health. Since too much coffee or caffeine can raise the acidity in our bodies, causing an acidic shift in our PH, especially in our stomachs, switching to a less acidic drink such as mushroom coffee helps prevent symptoms of acid reflux, stomach discomfort and raised stress hormones. And since mushroom coffee is lower in caffeine than regular coffee, you'll avoid the caffeine jitters and a potential caffeine crash. Much like instant coffee, medicinal mushroom coffee is individually packaged for convenience. Simply pour the powdered mixture in your cup, add about eight ounces of hot water and stir. Prefer to make a fresh pot and add the mushrooms after? Coffee-less mushroom powders (such as Moodbeli) are another great option. The drink can also be served with milk or a dairy-free substitute such as cashew milk, almond milk or coconut milk. For those hot summer days when you need an iced beverage, pouring ice over a freshly-made cup or simply preparing your coffee the night before and letting it cool in the fridge should have you covered. A few teaspoons of honey is a great alternative will add just the right amount of sweetness. According to the Botanical Safety Handbook, cordyceps and reishi mushrooms are a Safety Class 1A herb (the safest rating possible), and there are still no side effects reported in the available literature and clinical studies. A 2012 review published in Journal of Traditional and Complementary Medicine states that there are no apparent side effects recorded with the use of reishi mushrooms. But before you go gulping down cup after cup of the stuff, it’s important to note a few things. Milligan does state that, due to the strong medicinal properties in the mushrooms, some detoxification symptoms could arise, including mild digestive upset, dizziness, flu-like symptoms and skin rashes. It’s also important to speak with your doctor when starting anything medicinal because certain herbs may interfere with medication and may sometimes interfere with proper blood clotting. Have you ever heard of reishi mushroom coffee? Have you ever tried it? What did you think? Have you tried these medicinal mushrooms in anything else? Have you experienced any benefits from them? Share your thoughts and questions in the comments below! Edible and Medicinal Mushrooms: Emerging Brain Food for the Mitigation of Neurodegenerative Diseases. Hepatoprotective effects of aqueous extract from Lingzhi or Reishi medicinal mushroom Ganoderma lucidum (higher basidiomycetes) on α-amanitin-induced liver injury in mice. How Much Reishi Mushroom Powder Do I Take Per Day? What Are the Benefits of Horny Goat Weed & Maca?